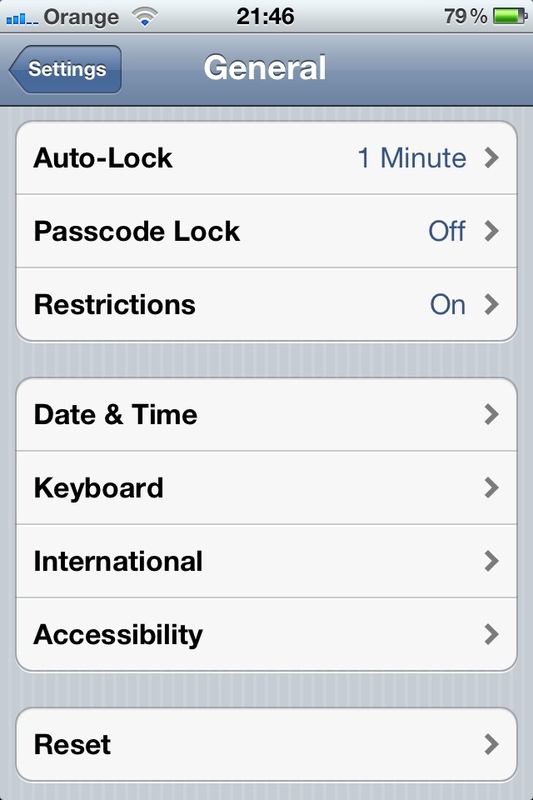 I’m using my iPhone more and more as a primary means of Internet access. This also means I’m typing my email address on my phone, more and more frequently. There are two problems with this: it’s slow and difficult to type, and autocorrect makes things even more difficult – it knows I’m “Gareth” so if I start typing “gareth@”, I get corrected to “Gareth@”. 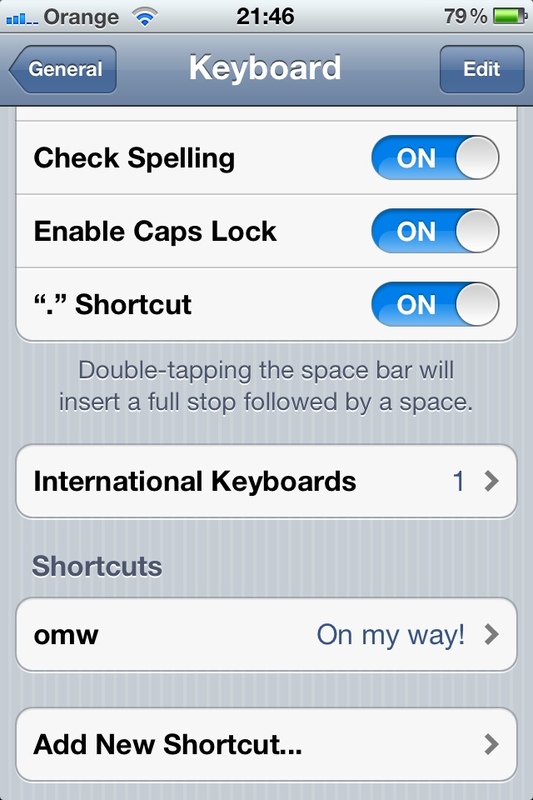 Fortunately, the new shortcuts feature in iOS 5 can make autocorrect work for, rather than against you. 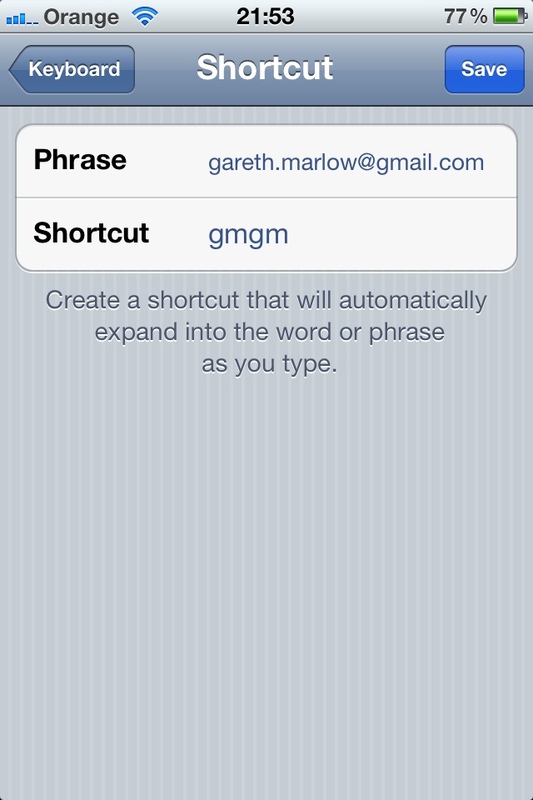 For “Phrase“, add your email address, and for “Shortcut“, choose a short word. It’s best to start this with consonants – something which isn’t going to clash with a normal word. I’ve used my initials, followed by “gm” for “gmail”. Do this for all of your email addresses. 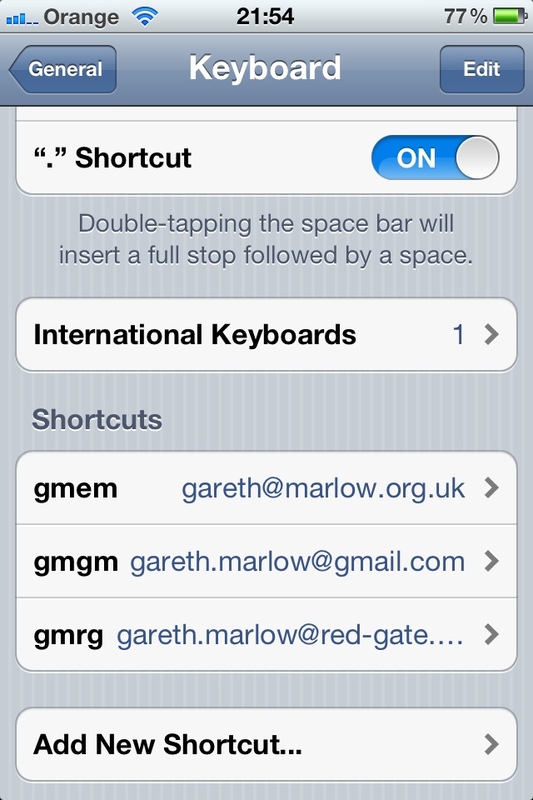 From now on, typing your shortcut will prompt you to replace it your chosen email address. Press space to accept, or hit the cross to cancel the substitution. You’ve reduced the number of keystrokes required to four, using just the home keyboard, improving your speed and accuracy. Hurray! The only niggle is iOS auto-capitalisation. 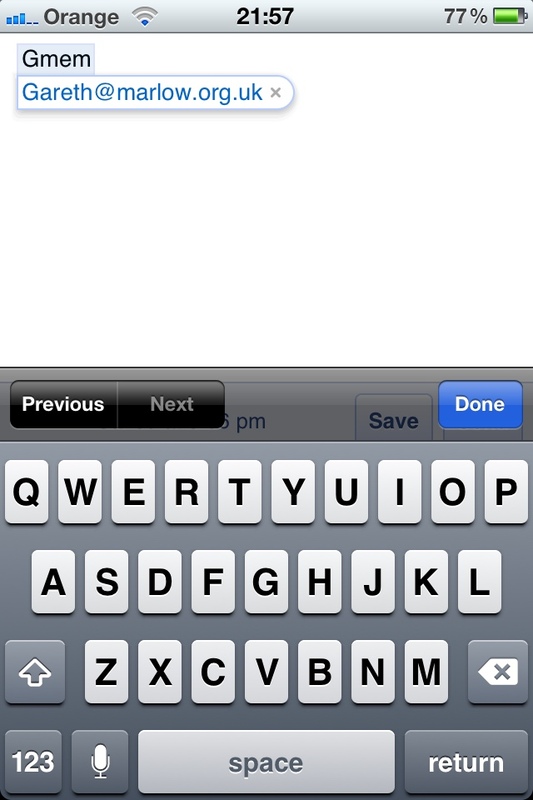 Usually, a text field will force the keyboard into upper-case. This will force your email address to begin with a capital letter too. To prevent this from happening, you need to remember to hit shift before you type your shortcut.